The intent of a shakedown hike is to try out new gear or new processes prior to a trip, to iron out any bugs, familiarise yourself with new systems, to balance your pack so that it’s comfortable, and to assess your fitness in terrain similar (or worse) than what you have planned. But how many of us ever do them and should we really bother? Typically a shakedown hike is just a shorter version of whatever adventure you have planned and you should ideally be carrying what you plan on carrying for your actual trip. So if your plan is to do a seven day hike and carry all your food as well as 1-2 days of water then this is what you should be carrying for your shakedown hike otherwise you are not going to get a realistic feel for the trip itself. A shakedown hike may only be a one day tester but this will depend on whether you are trying out new sleep systems. I would recommend that if you are planning a multi-day trip that you do a shakedown hike of at least two days duration so that you can see how you body backs up over multiple days. One day of hiking, no matter how taxing, is never going to test you out fully. Those who fall somewhere in between, which is probably the majority of hikers. Now I need to profess that I fall into the gear freak category. As a result it is rare that I ever use the same exact gear for very long, at most it would be 12 months without a major change. In addition I’m also in the process of trying to become a lightweight/ultralight hiker in preparation for some ‘long’ hikes that I have planned over the next few years so at the moment this is the driving force behind my gear purchases. So what does this mean for me? A couple of years ago in preparation for a 14 day hike on the Larapinta Trail I had purchased a new pack, tent, sleeping bag, stove and camera amongst other more minor kit. Armed with all our new purchases we headed off, pack loaded with our proposed kit as well as four days of food and two days of water, which would be the maximum that we would be carrying on our upcoming trip. Here’s what we learnt from this shakedown trip. The trail web site recommended the use of a 70-80 litre pack. In my case my 73 litre pack ended up being only 2/3 full. 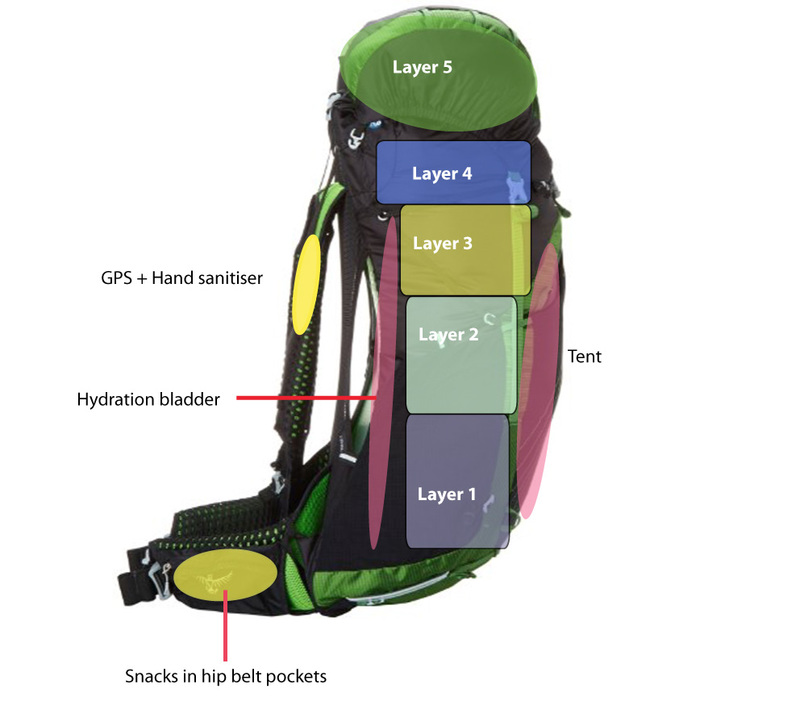 Outcome: I swapped my pack over to a lightweight 51 litre pack saving both bulk and weight and increasing comfort. Our new Big Agnes Copper Spur 2 tent was amazing, coping with the strong winds and heavy rainstorm that hit us just after we set up camp. My -4°C (25°F) sleeping bag (men’s comfort level) was overkill and ended up being a doona (quilt) as I sleep very hot. This was also the case for the trip itself. My wife’s -11°C (12°F) sleeping bag (men’s comfort level) was just right for her in the same conditions (a cold sleeper). Our new Jetboil stove worked a treat. The newly purchased Sony Rx100 compact camera while not as good as my SLR lets me take most, but not all of the shots I wanted. The hiking coffee we bought didn’t pass muster; we are not fans of instant coffee and didn’t want to carry a plunger so we decided against coffee for the trip. The prepackaged hiking dinners with lamb while tasting great are not worth the after effects particularly when sharing a tent! I strongly recommend trying out prepared meals before a trip if you haven’t used them before. My thought of using a tent peg (sand peg) to dig cat holes only works when the soil is free of rocks and/or roots. Back to the trowel. Having worked outside for most of my life I didn’t need as much layering to cope with -2 Celsius as I had originally thought. This resulted in my jettisoning a number of pieces of clothing. That developing a ‘system’ for packing makes hiking much easier. The more you practice packing the easier it becomes. Change your pack and gear list and you will have to relearn how to pack again. So for me doing shakedown trips is essential. Not because I don’t hike on a regular basis but because I change gear so often. If unlike me your gear collection is very stable and you are hiking regularly, a shakedown hike is not absolutely necessary unless you are intending to hike in a totally unfamiliar climate or your fitness level has changed. However, I would still recommend doing a shakedown hike at least once a year particularly if you’ve had a break from hiking.